North Tyneside is one of five metropolitan districts that make up the area of Tyne and Wear in the North East of England. The population currently stands at around 196,000. 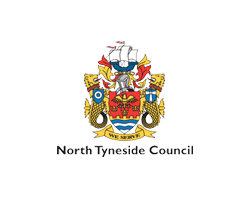 The commitment of North Tyneside Council to high quality leisure and cultural activities is demonstrated in the £30million investment in new facilities at Cobalt Business park housing over 1400 employees, making the council the largest employer in the borough. Albany Contract Furniture was selected as their furniture supplier through a tender exercise during 2007 and in 2008 they began supply all of the office furniture up until completion in 2010. Albany are more than helpful when catering for our changing needs and provided a professional, flexible service. We are happy with their work and maintain a good working relationship.